Mountain of Fire and Miracles Ministries FC (MFM FC) came from behind to claim an unbelievable 3-2 triumph over Niger Tornadoes in a Matchday 8 fixture of the Nigeria Professional Football League (NPFL) played on Sunday at the Soccer Temple, Agege Stadium, with defender Abisoye Olawale posting a worthy performance that earned him the Man-Of-The-Match award. 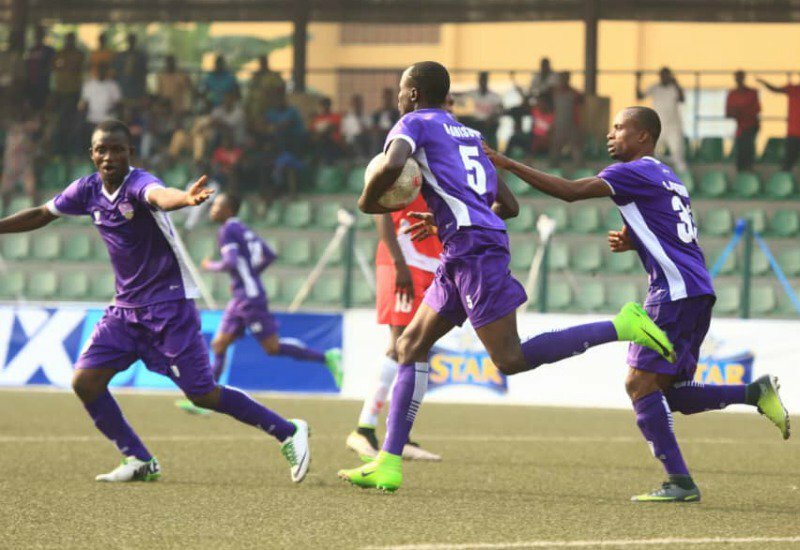 The Olukoya Boys later soaked the pressure from the visitors and went forward on few occasions in search of a goal to spark a comeback. With less than three minutes to end the first half, Abisoye reduced the deficit for his team with a fine tap in after connecting a long throw-in from Jonathan Zikiye. Fidelis Ilechukwu and his youthful side came out strong in the second half and put the Minna-based team to the sword with two unreplied goals from Michael Ohanu and a last-minute beautiful effort from Kenedinum Chuks. “In the second half we talked to ourselves that we will be mounting pressure on them because we know that they will get tired and make mistakes and that was exactly what happened. I give God the glory that we got the maximum points,” he said to MFM Media shortly after their fourth home win of the season. With the three points in the bag, MFM FC still occupy the first position on the NPFL Group A table with 15 points from seven league matches.